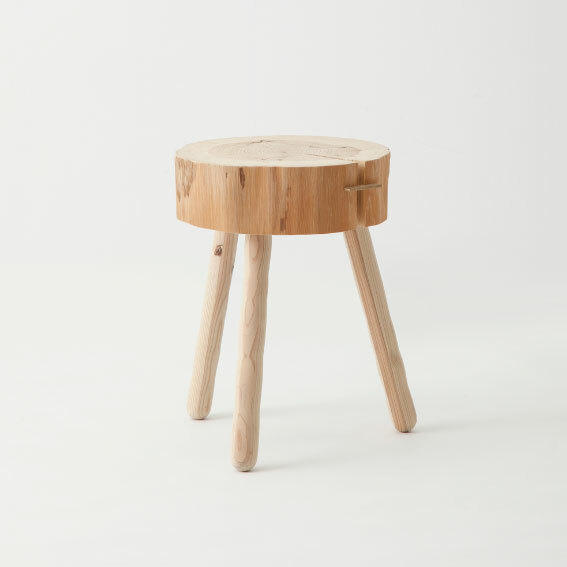 This is a stool for enjoying annual rings and cracks as they are. with brass to show it decorative. by synchronizing with the texture of the top.